Though a tad backward as far as infrastructure is concerned, Kolkata does have a definitive place on the Indian fashion map. The people of Kolkata are fast evolving in all things, they are truly fashionable and the appeal of nail art hasn’t passed them by. These top 10 nail art spas are a special treat for all those nail art lovers in Kolkata. This established salon is a treasure innovation and the newest trends are one of the most happening places in Kolkata for nail art and other nail treatments. The experts here experiment with colour, motifs and embellishments to come up with trendy art for your fingertips. Established in 1997, the Lady salon has many years of experience in the field of skin and beauty treatments. Lady salon offers affordable nail art and the experts here have ample amount of experience using a wide range of colours, extensions, glitter and embellishments to produce nail art that is bound to enthrall you. 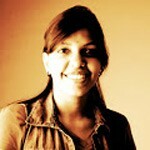 Ekta Bhattacharya the owner of Tressbay salon is a name to reckon with on the basis of merit alone. If you are looking for nail art, Tressbay is the right place to be. The experts here play with bold colours, embellishments and nail piercings to create astounding pieces of art on your finger tips. It’s only apt that you book an appointment with Tressbay as soon as possible. Choose from a wide range of nail painting techniques and colours and get yourself art that has everyone staring at your hands. This chain of beauty salons all across India has set up base in Kolkata too and the city has a much more stylish place because of it. 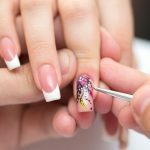 Experts in all sort of beauty treatments, the professional nail artists here will not disappoint you, book an appointment as soon as you can and you won’t regret it. Popular all over Kolkata for their expertise, Nisha Nail Arts is the place to be to experience the best in nail art. They experiment in colour blending, trendy nail accessories and a wide range of designs and motifs. Try this nail spa in Kolkata and you are sure to be back to indulge in more excellence. 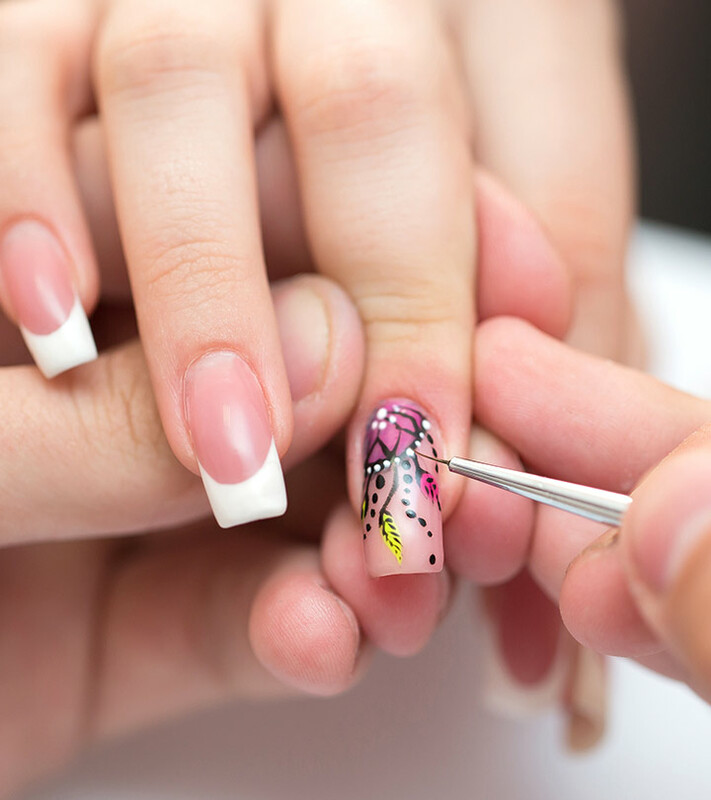 Nail Studio boasts with an emphasis on nail treatments and art excels in using nail extension, permanent and temporary embellishments, rhinestones, a whole range of trendy colour and glitter. Their services are bound to leave the beholder spellbound and the customer very happy. This is also the place to be if you wish to learn nail art personally to indulge in as a hobby or practice or as a profession. As the name suggests nails are the primary emphasis here and considering the fact that this place has given nail art and other nail treatments top priority. Women who walk in come out with more different trendy nails. Walk in or book an appointment and simply choose from a wide range of designs, motifs and embellishments or communicate your preferences and ideas and they are sure to be met. Get yourself trendy nail art using gel extensions, permanent or temporary embellishments and a wide range of colours at the Galaah Salon in Kolkata. This trendy salon has been serving the city of Kolkata for quite some time now and the city has embraced them with wide open arms. This Beauty Salon has been around for some time now and has made a name for itself on the basis of merit, expertise and excellence. Well worth a try, talk to the nail art experts here, explain your colour and design preferences and you are sure to leave content with the work of art you paid for. This tattoo studio is also making a reputation for itself as a trendy and innovative destination in Kolkata for excellence in nail art. So, which one are you going to try? Which nail extensions in Kolkata you are going to visit? Shoot us a comment. How To Do Nail Spa At Home?